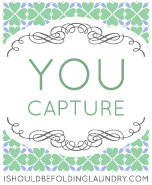 When I first heard the You Capture theme for the week, I was excited - what a cool thing to photograph. Except I have no access to any cool looking doorways. Just normal ones. So then I thought, "Okay Carrie, get out of the box and see what you can find" - and that didn't work so well either because I was taken unawares by a very nasty little cold/flu bug. Let's just say that my creativity was gone with the cold meds. So for better or for worse, here are my offerings for the week - doorways in the loosest sense of the word. Make sure you check out the other - better - captures over @I Should Be Folding Laundry. I used this photo yesterday in my Book Review post, but I'm also using it today because I love the colors and I think it ties into the "doorway" theme. Did you know that while I was sick I visited Botswana and India? 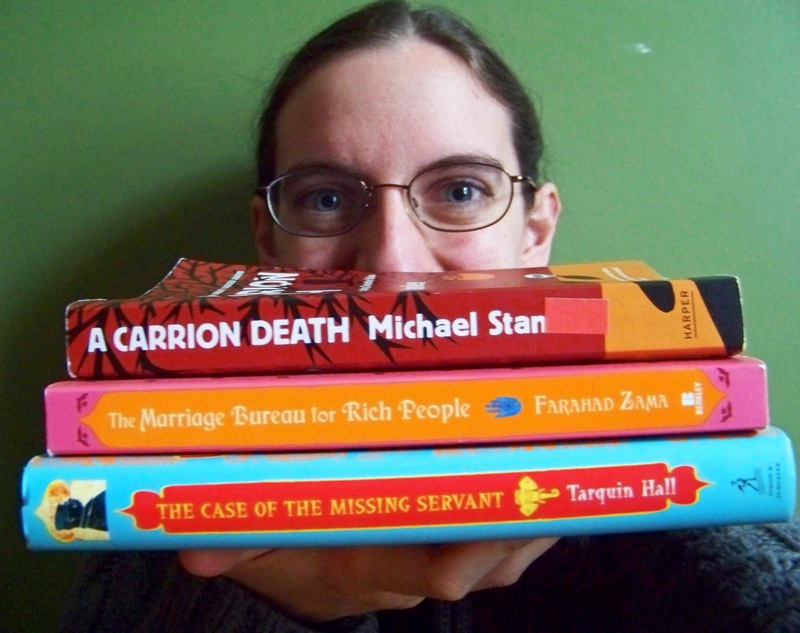 Books are DOORWAYS to the world - without dealing with immigration, jetlag, and airport security! We're renovating the house next door and my view from across the driveway shows me the DOORWAY to the basement - beautiful in it's own way. While redoing an older home, we discovered two original doors in the basement. 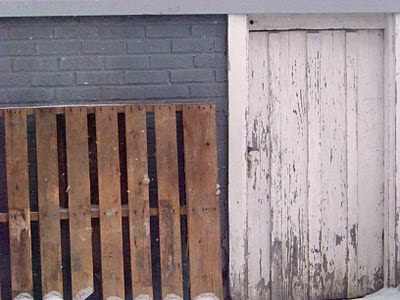 We're suckers for old doors and we intend to restore and reuse them in DOORWAYS of the FUTURE, with a nod to the PAST. Love that old cracked doorway! I also love old doors! 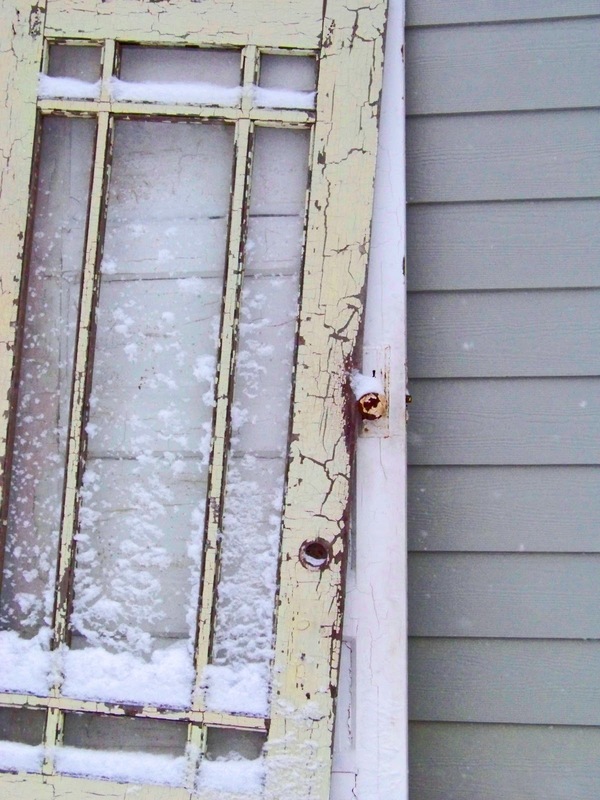 The snow is beautiful on your old door!! I'm a total sucker for old doors and windows. We have a bunch of them in our attic from the previous owner. I keep saying I'm going to do something cool with them and bring them down into the light -- or sell them on etsy lol. I was also trying to think up some interesting doorways to capture around here but most of them are just not what I was looking for. It was still a fun capture though. Ooooh...love that old door!! And your take on books being a doorway. Hope you are feeling better!! thank you for your comment - you are so right - I need to find the right FIT for my daughter!! I will look at Sonlight - my friend actually used to use these materails! I love those old doors! Great interpretation with your first picture and I really like the picture too. Oh I LOVE worn things like that door in your last picture! It's beautiful .. if it could talk wonder what it would say! I think your challenges brought out the best from your imaginative and artsy self!! These are terrific!! An dlove the spin on books as doorways--they truly are! I love old doors and windows also. Great shots! 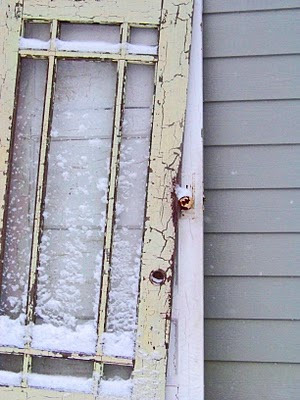 I do love the old cracked paint on windows and doors. That's a great interpretation of doors. I love reading too. I am happy if I can sit and read all day, visiting lots of other places. Ah, I love the idea of books as the doorways to the world..indeed they are! Re; carsickness. Everyone told me I'd grow out of it too, but blehchh, I certainly haven't! I love that last one!I love old doors and am always hoping to find one at a garage sale or on craigslist! these are GREAT! I love the third one, the color and texture is so pretty! Okay, books as doorways? BRILLIANT.